Hmm so Kuzma shoots 25 times, triple what Ingram had during Houston game. Lets think. Ingram would need 17 more shots to equal the 25 shots Kuzma had. Lets say he nails half of them , given that he's shooting 50% from 2. So 12 points in 5/8 shooting turns into 26 points in 13/25 plus he probably gets 4-6 free throws, that puts him at 30 plus. To be honest, I'm pretty sure he could do it. Just needs more shots. He only had 15 shots and has 16 points. Give Ingram 10 more shots he'll hit that 20 point mark consistently. Anyone that has some talent can hit 20 plus if given the shots. Okay, so im pretty sure BI touched the ball more times but he only chose to take ultimate control 8 times, thats one point I can elaborate on but thats a different topic. Geometric progression is a bad way of forecasting stats. Pop, postgame was essentially alluding to hierarchies. Ingram without a 3 point shot or above average ISO ability, definitely ranked behind LeBron on our team, is not a #2 option. Trying to understand how Kuz can get 30+ shots next to LBJ, but BI can't get 15 shots a game next to LBJ. I think personality wise, LBJ seems more attracted to Kuz as a shot finisher. If BI wants to stay a Laker, he needs a way to be more assertive and get the ball. Also, the team should stagger LBJ/BI a bit more too. Kuz is a spot up shooter who is great at attacking close outs. Ingram isn’t. I think it’s that simple. Even though I believe BI is the better player, Kuz looks like a much better fit in the starting lineup. Right. Fit wise, I think it's fairly obvious. This is why Luke needs to stagger BI's minutes a bit so he can play the lead scorer on the 2nd unit (while starting), and find ways to put LBJ/Kuz on the floor together more. 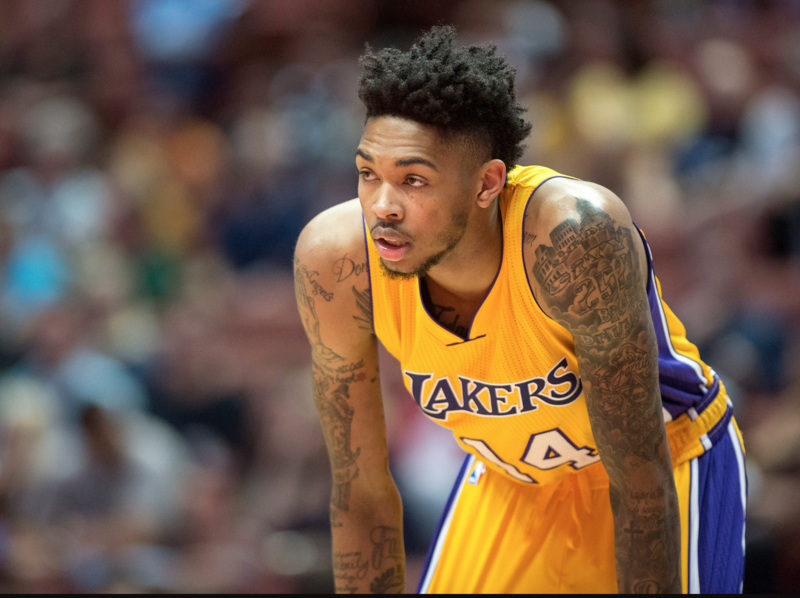 My opinion, there's nothing wrong with Ingram's game. From the small sample size we got in the preseason, he seemed to play well with LeBron, but better when LeBron sat. That's because to get the best out of Ingram, he needs the ball in his hands. Hart and Kuzma not so much, because they farther along as spot up shooters. NONE of our young core should be traded, despite the insipid narrative being pushed by some pundits, and fans. Trading your future, for only 4 years of LeBron, is beyond stupid. That said, I am open to the possibility of bringing B.I. off the bench, to lead the second unit, with Rondo. Jonathan Williams showed me he has a place on our squad, at least until we can get a better big. Hopefully, Wagner can help in that department, once healthy. KCP should be scuttled, and Zubac/Beez are on the bubble. Why start him? Just start Kuz and still give Ingram plenty of minutes. Trying to start Ingram would make it far more complicated. There are politics involved here, and we will need to start our high lottery pick players either to justify not trading for a 2nd star or for gulp, inflating their trade value. But I think BI brings some defense that's needed in the starting group. Yeah, makes more sense in a Brow trade context for sure. But I think BI brings some defense that's needed in the starting group. Plus, I don't care how many shots BI puts up as long as he's playing good defense, taking the shots he SHOULD be taking (and hopefully hitting them), and making the right passes. Even if this means he's only getting 6-12 shots a game. He's more of a Swiss army knife than a scorer like Kuzma. Name one offensive move or weapon BI is pretty good at? I’m sorry I can’t think of one. The guy is just too raw in so many areas, and yet our front office think he’s untouchable? LOL. Ingram couldn’t make an open corner 3 when we needed it, Kuz did. Sorry Ingram, but it’s clear who needs to stay and who needs to be traded. Kuzma is a one dimensional player that does nothing besides shoot, if his shot is not going in he’s absolutely worthless and a liability because of his putrid defense. Ingram is a more all-around player, the front office would trade Kuzma first if they had to make the decision. You're not wrong, except for failing to note that shooting is probably the most important skill in the NBA, and one that we lack more than others. It's much easier for us to fill in the gaps on rebounding or defense with players like Jonathan Williams than it is get to an efficient 37-point explosion. There are plenty of offensively gifted, defensively challenged players in the NBA. Booker and Harden come to mind first. I just think BI is having a tough time adjusting to having the ball out of his hands. one way is to move Rondo to the 2nd unit as he and LBJ take up the ball too much. 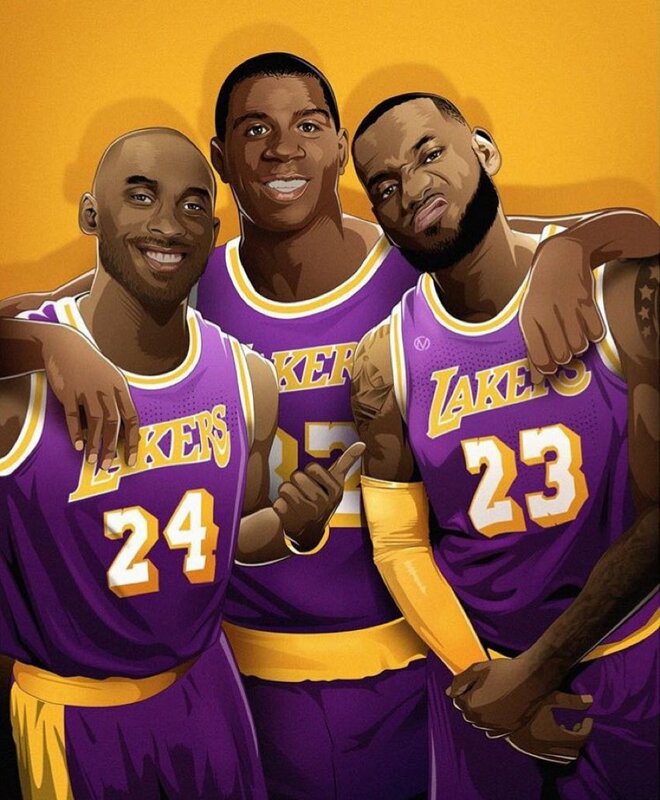 Insert Lonzo. And then stagger BI to play with Rondo on the 2nd unit so he can initiate more than when he's behind LBJ/Rondo on the starting lineup. Offensively, Lebron needs a Kuz way more than he needs a BI. Especially if Rondo is in there... good grief. Zo will help. But in any case, the Rondo/KCP/BI/Bron/Javale lineup needs to be jettisoned to the ash heap of history and not to be spoken of again. Dirk Nowitski practically every season of his career comes to mind. 2nd subs: Rondo/Hart (can he play every minute... )/BI/Kuz/Williams. I don't think B.I. is defensively challenged, as some claim. It's tough on ANYBODY to guard elite offensive players. He moves his feet well, and uses his length. That said, I agree with you that it's feasible that replacing Rondo, with Lonzo in the starting lineup, could help Ingram get more on-ball touches. Walton's going to have to play around with his lineups some, to get the answer. I'm talking about Kuz on defense. Putting up points but getting roasted on defense. Ingram's too big to be chasing players around screens at the 2.